Nile University’s Entrepreneurship Initiative NU100 also launched the first Arabic Portal for entrepreneurial resources ?????????.???. NU100 officially launched yesterday under the slogan “Doing our part in rebuilding Egypt”, with a panel of experts offering entrepreneurs advice on facing cultural, financial, and managerial challenges. The panel included Dr. Hazem Ezzat, CEO of Optumatics, Dr. Magued ElSherbiny, President of the Academy of Scientific Research and Technology, Mr. Mohamed ElSawy, Founder of ElSawy Culture Wheel, Mr. Mohamed Gouda, Founder of mine-finding machine and company Kashef, and Ms. Sahar ElSallab, Chairperson of Hiteknofal. Ezzat made sure that this will not happen, unless the youth takes matters into its own hands and ElSallab reinforced that by saying: “If you think you will graduate tomorrow and start working in a governmental organization or multinational company, I am sorry to tell you, this will not happen.” 90% of developed countries are led by the private sector. This private sector consists to 90% of small businesses and startups. ElSawy tried to summarize Egypt’s path of development into a simple equation: Thought + Education + Acting Responsibly = Development and Growth. He also referred to the cultural challenges and urged young people to break free from them and start changing the mindset of people bit by bit. When talking about the legal side, ElSherbiny confessed that the current laws to not perfectly support startups, but that mainly the Egyptian mindset needs to change. NU100 used this opportunity to declare the 3rd of March the Egyptian Entrepreneurship and Creativity Day and launch the first entrepreneurial portal with an Arabic URL: ?????????.???. 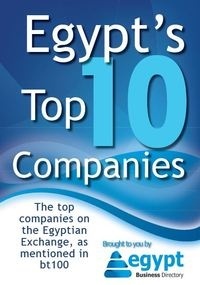 Stay tuned for Egypt Business Directory’s upcoming papers throughout this week and weeks to come, where we will create a “Mini-Startup-Guide for Entrepreneurs”, summarizing the advices given by each expert in the NU100-panel.